In Google Ads, you have a few different bidding strategies to choose from. If you always set your campaign bid strategy as Manual CPC, you may have noticed this option: “Help increase conversions with Enhanced CPC”. According to Google Ads, Enhanced cost-per-click bidding “works by automatically adjusting your manual bids for clicks that seem more or less likely to lead to a sale or conversion on your website.” Enhanced CPC is different than manual bidding because, with this strategy, Google Ads will automatically increase bids when it predicts that a click will likely lead to a conversion. Although Google Ads removed their 30% bid cap in June 2018, the general idea remains the same. Google Ads will try to keep your average CPC below your max CPC over time. 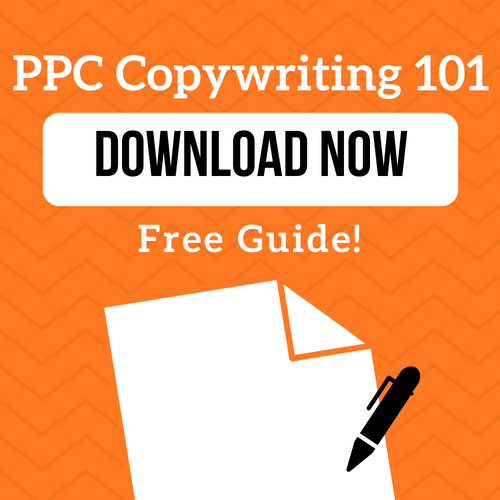 So, why do we recommend using an Enhanced CPC bid strategy? Because Enhanced CPC gives you the best of both worlds! You get the control of initially setting your bids manually, but you’ll also still get the benefits of Google Ads Smart Bidding, which will optimize your bids for conversions. This bidding strategy is especially useful for anyone who doesn’t log into their Google Ads account as often. In order to fully optimize your Google Ads account, you should be analyzing and adjusting your bids on at least a weekly basis. On the other hand, if you have the time to analyze your data and adjust bids, or you’d just like to maintain more control of your account, an enhanced CPC bidding strategy might not be for you. Since Enhanced CPC directly uses your conversion data to make its bid adjustments, you’ll have to have conversion tracking set up correctly. If you aren’t tracking conversions properly or your historical data is incorrect, you should wait before using an Enhanced CPC bidding strategy. Although conversion tracking can sometimes be tricky to set up, don’t let that discourage you. The benefits of tracking your conversions properly in general will definitely be worth it in the long run. If you don’t currently have conversion tracking set up in your account, you can set it up using our step-by-step guide. 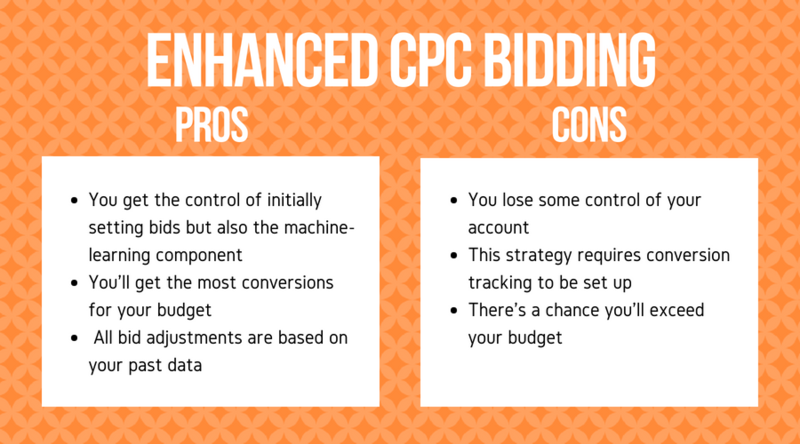 Still not sure if you want to use an Enhanced CPC bidding strategy in your account? Check out our breakdown below! 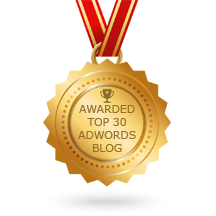 Try our FREE Google Ads grader to see how many more orders you could win without increasing your budget! Already using LXRGuide? 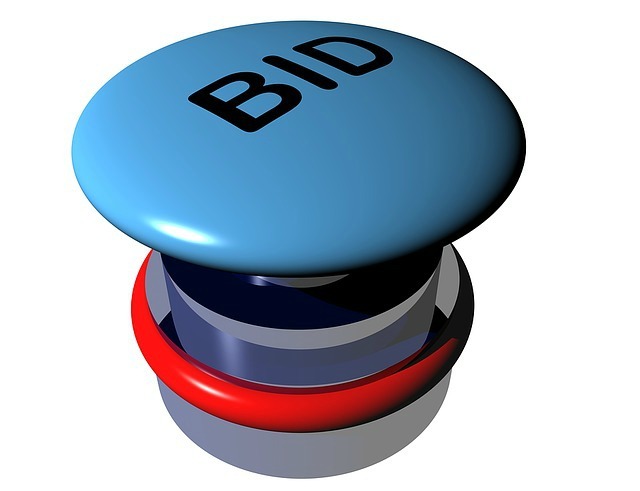 No need to switch over to ECPC, LXRGuide will recommend these bid adjustments for you!